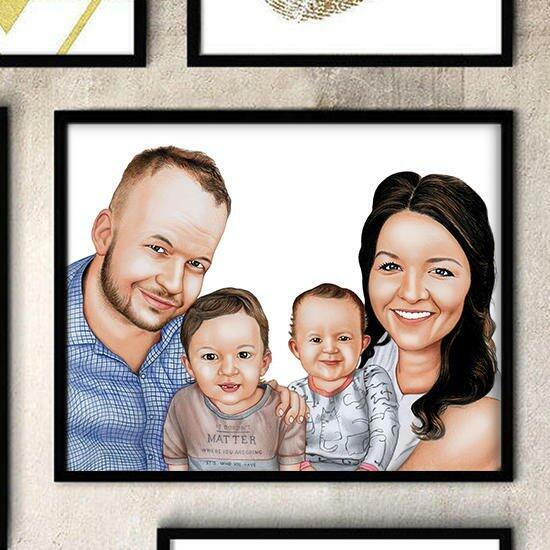 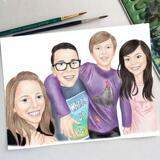 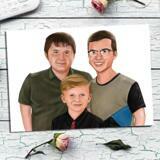 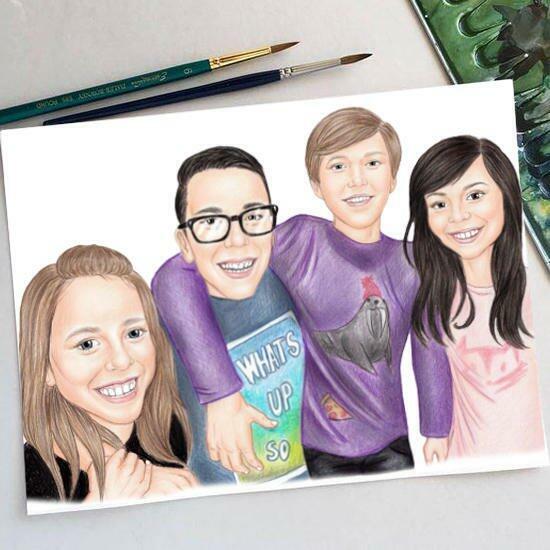 Unique, entertaining and bright group portrait, which will be hand-drawn from your photos with colored pencils by Photolamus, will make an incredible both surprise and a keepsake for anyone who will be gifted with it. 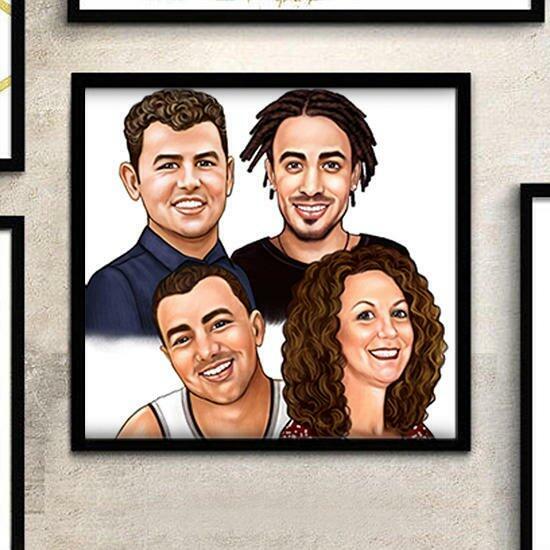 Group portraits are suited for original gift idea for best friends, team members, best staff coworkers or dearest family members. 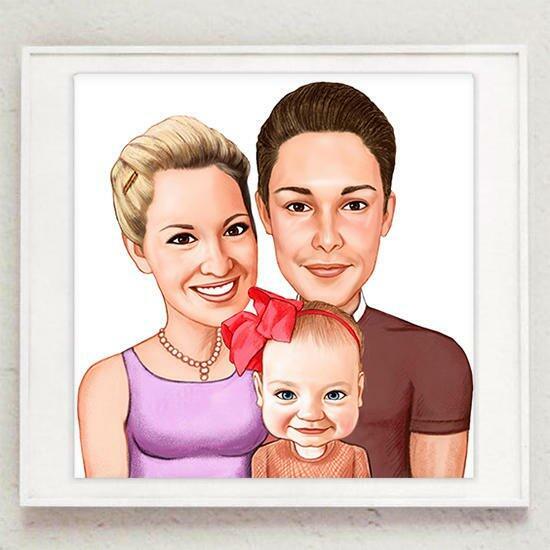 Mention your requirements and upload favorite photos below and we will draw an amazing portrait drawing for you, which will be further printed on a qualitative Fujifilm Archive Paper of your choice. 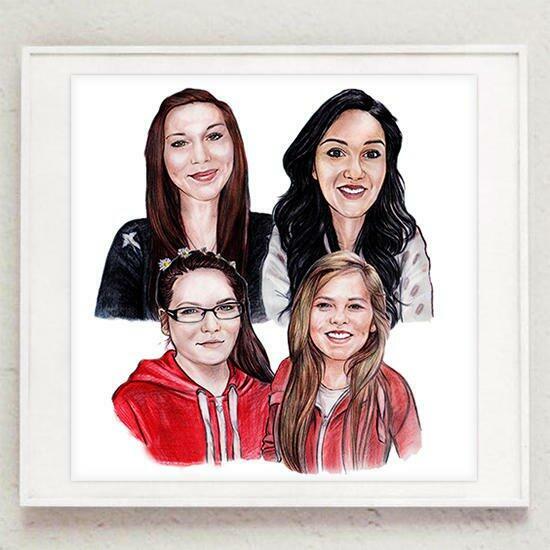 Printed posters of group pencils portraits are available worldwide.